Original production of wood-craft articles,known as "SETO-KUMIKO"
In Seto-city, there is shop, making wood-craft articles. 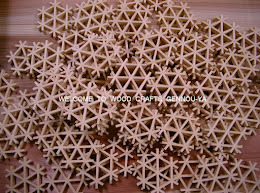 These wood-craft areticles make a good mixture of traditional Japanese and modern art. is known as " KUMIKOZAIKU"
GENNOU-YA being made with a brother.